Several new faces have been added to Liberty’s off the field staff under new head football coach Hugh Freeze. Additionally, numerous members of Coach Gill’s staff will remain in off field duties. As reported previously, Dominic Studzinksi has replaced long time Liberty strength and conditioning coach Bill Gillespie. Jim Nichols has been named Freeze’s Chief of Staff. Nichols is a former head coach at NAIA Faulkner who has also worked on staffs at Auburn, Troy, and Texas Tech where he went to 6 bowl games and was a part of the 2004 Auburn Tigers team that went undefeated and won the SEC Championship. 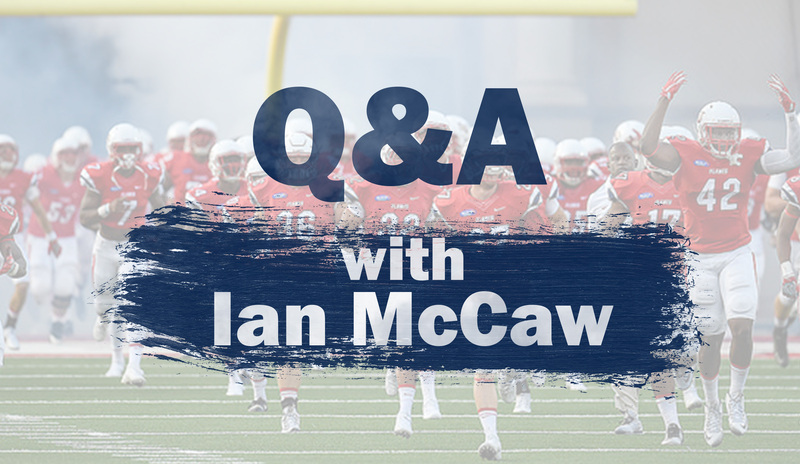 Most recently, he was director of athletics at Mount Dora Christian Academy near Orlando, Florida. He was the first ever football coach for Faulkner in Montgomery, Alabama, holding that position for 2 seasons from 2007 until 2008. He took over as AD at MDCA in 2015 and was also their football coach in 2016. As we have reported previously, RJ Fleming has joined staff in an offensive quality control role. Fleming most recently served as an offensive graduate assistant at TCU. Fleming started four years at Arkansas State, catching 12 passes for 149 yards his senior year of 2013. Here’s a terrific story on what Fleming has had to overcome to get to where he is today. 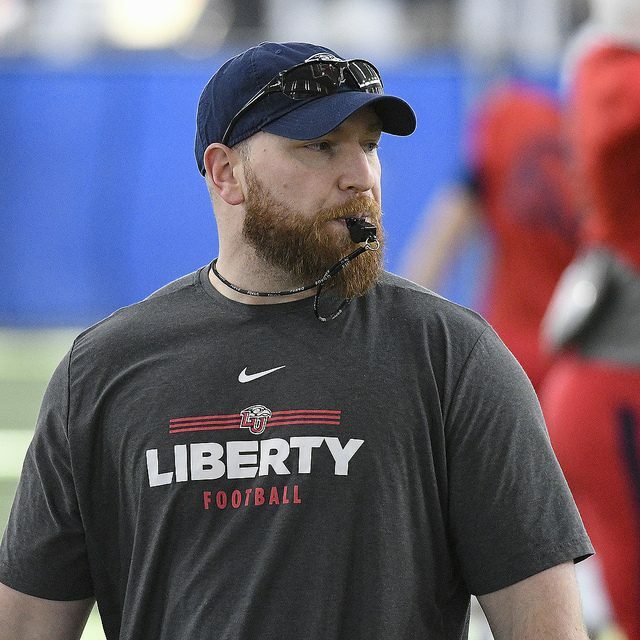 Also on the staff as quality control coach on the offensive side of the ball is Kyle DeArmon, who was Liberty’s wide receivers coach under Gill. Darren Jackson will remain as a quality control coach for the defense and Darry Marshall joins the staff as a quality control coach for the defense as well. Marshall held public office positions in Tipton County, Tennessee before joining Freeze’s staff. He is a former football coach and high school principal. Grad assistants include C.J. Holden (recruiting/operations), Roy Asuega (defense), Jordan Cantrell (defense), Trey Caso (offense), Logan Bradley (offense), and T.J. Randall (football operations). Paul Rutigliano (Director of Football Operations), Matt Bevins (Director of Player Development), Diana Aldrich (Senior Staff Assistant), J.R. Rozier (Director of High School Relations/NFL Liason), Ed Gomes (Director of Spiritual Development), Danny Wenger (Director of Football Video), Tim Baggett (Assistant Director of Player Personnel) have also been retained. Rachel Henderson, another new addition to the staff, has the title of Assistant to the Head Coach. Freeze has also hired his Director of Player Personnel, Ethan Johnson. Johnson and his staff will be responsible for doing player evaluations moving forward. Johnson, a 2005 Liberty grad, returns to Lynchburg after spending 3 seasons as the Director of Player Personnel at East Carolina. Prior to his time at ECU, he spent 10 years as the assistant director of player personnel at Duke. Aaron Wilkins, who was elevated to coach of the spurs under Gill a season ago, was originally reported as staying on the staff in an off the field role, but he will not return. Wilkins has joined former Liberty defensive coordinator Robert Wimberly as cornerbacks coach at Northern Illinois. Wimberly’s official title is Executive Assistant Coach and Co-Defensive Coordinator and Linebackers coach.